This badge was issued to Cris Flores on 19 Apr 2018. 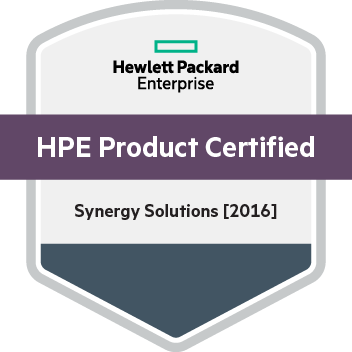 This badge validates the achievement of the HPE Product Certified - Synergy Solutions  certification. The certification verifies an earner can recommend and design Hewlett Packard Enterprise Synergy solutions. Earners understand the important Synergy features and functions as well as the benefits and strengths of composable infrastructure. These earners have the knowledge and skills necessary to recommend, demonstrate, install and configure HPE Synergy. Complete HPE Synergy Solutions Rev. 17.11 course. Training is highly recommended but not required. Pass the HPE2-T27 - HPE Synergy Solutions exam.